Mativision has already helped power a slew of top music artists’ first tentative steps into the 360-degree video realm, including Muse, Professor Green, Pendulum, Steve Vai, Seasick Steve, Anthrax and Slash. 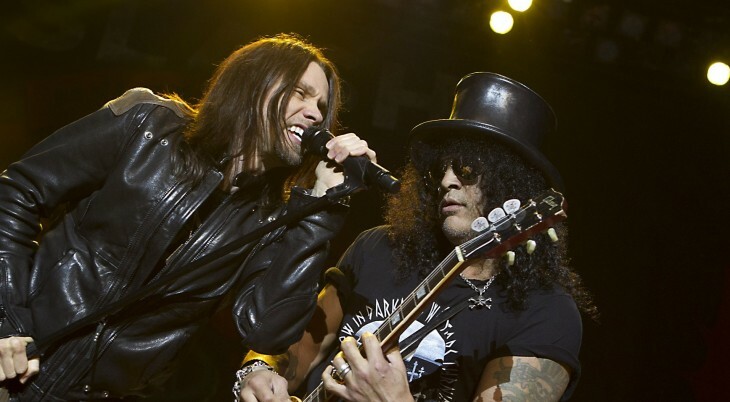 While the aforementioned endeavors saw the launch of native mobile apps, the tech firm has now teamed up with Slash again to take its tech to Facebook for his band’s single Standing in the Sun, from Apocalyptic Love. With Slash 360, the former Guns ‘n Roses axe man is taking the key concept behind his iOS app, launched back in July, and deploying it on Facebook, letting fans control the view they have of the band using on-screen controls. Users can switch between different vantage points (cameras) and multiple synchronised camera views, whilst also rotating and zooming in and out. Mativision uses a series of special 360-degree cameras to film and broadcast live music performances, using the Web-based Mativision player, and iOS apps. Indeed, the company is now laying claim to the worlds first fully Facebook integrated 360-degree video platform. The existing Slash 360 iOS app was included in iTunes’ Top Grossing App Chart in 14 countries worldwide in the wake of its launch this summer. The Slash 360 app is available on Facebook now.